Looking for some tasty vegan recipes? L’ORIGINALE suggests you a wide range of vegan recipes! One of our favorites? The salad with asparagus and Balsamic Vinegar of Modena! 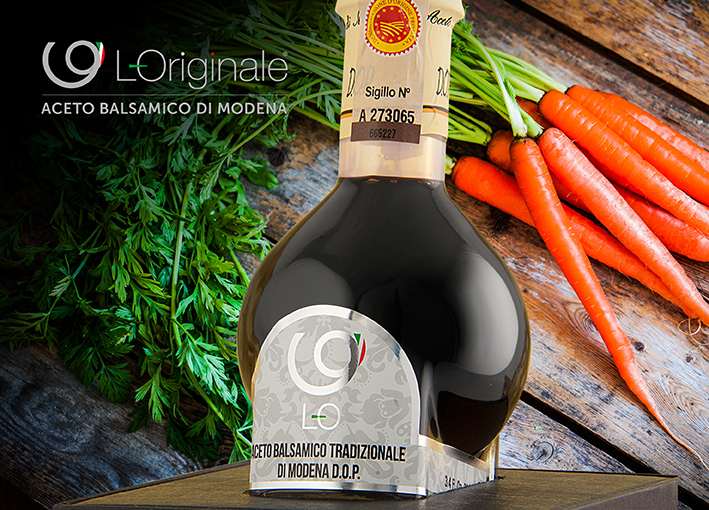 Balsamic Vinegar is a totally vegan product, for it is the ideal ingredient for your diet! Remove the hard part of the stems of the asparagus and peel them with a potato peeler to remove the outer layer (without touching the tips). Then cook them in boiling salted water, until they get tender enough. Drain and set aside. At this point, peel the chicory and cut it into fillets; then wash the fillets and leave them in water and ice. Blanch the green beans for five minutes in boiling salted water, then pass them in water and ice and finally cut them on the long side. Wash the salad and pour it into a bowl. Add the chicory, season with a little oil and salt and divide into the dishes where you you will have already placed the asparagus. Add the green beans and season with salt, pepper to taste and finally add traditional Balsamic Vinegar of Modena P.G.I.! The dish is ready to be enjoyed!